Things were pretty quiet at our evening Town Meeting until we got to Article 11, which asked if the voters would appropriate $2500 for law enforcement services. The key feature of this article was that it did not–deliberately–name any organization to be the recipient of those funds. In the past, the law enforcement Article has always specified that this sum go to the Essex County Sheriff’s Department. This year, the Selectboard felt that there was enough local dissatisfaction with the ECSD that they wanted to leave it up to the voters to debate and decide whether the money should go to ECSD, or allocate it elsewhere. The Sheriff himself, Steve Gadapee, didn’t bother to show up. But Gil Rainault, a Guildhall resident and Essex County Deputy Sheriff, was there, and appeared upset at the omission of the sheriff’s department. He seemed to hint that without the appropriation, Guildhall residents might not get services, and a Selectboard member asked him if that’s REALLY what he meant to say. 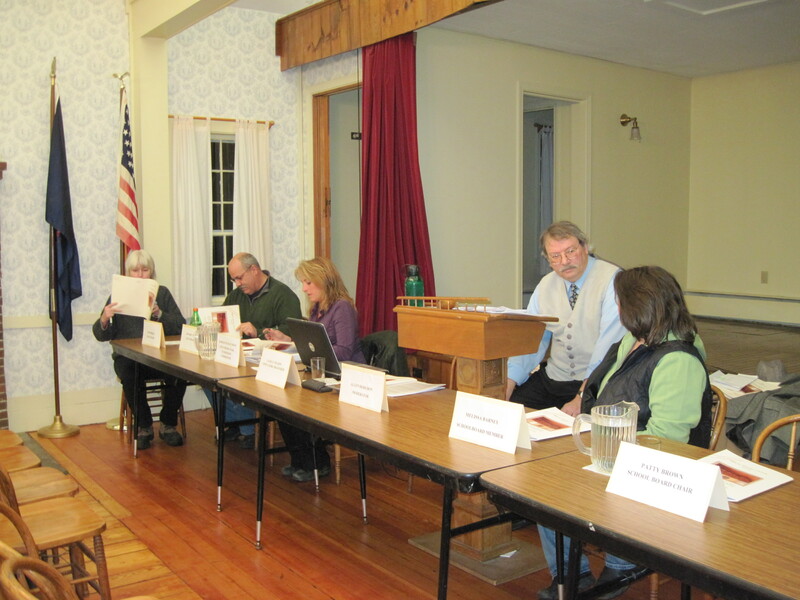 In the end, voters amended the Article to state that $2500 would go to the ECSD and another $2500 would be allocated at the discretion of the Selectboard for other law enforcement needs. There were some biting words! 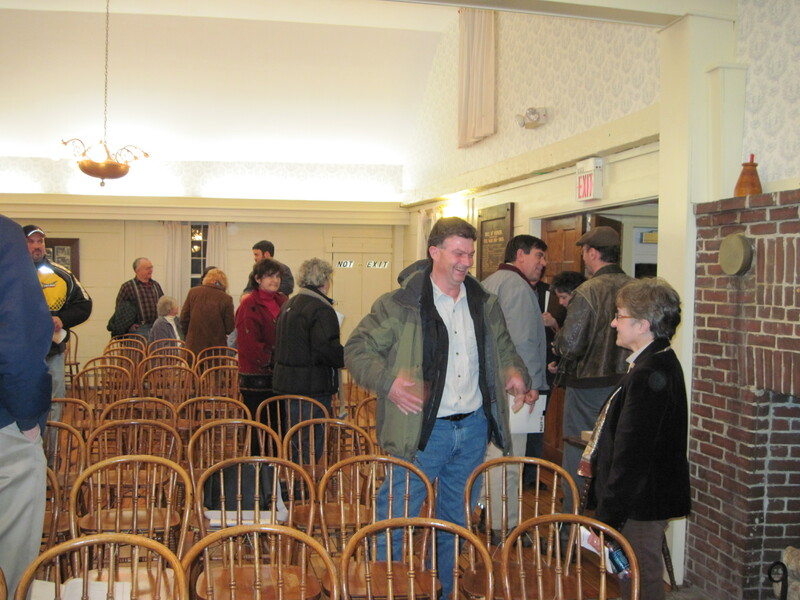 A bit later, when we got to Article 14 regarding appropriation of funds for the Guildhall Public Library, a voter sought to amend the Article by proposing that a portion of that sum be instead given to Weeks Memorial Library, in Lancaster, NH. And accordingly, the original sum for the Guildhall Library be reduced. The Moderator very quickly ruled that this amendment was out of order, because the Lancaster library as a recipient had not been warned. Hmmm. The voters chose not to challenge his ruling. But I wonder: after all, we had just debated and amended Article 11. In that article, no law enforcement agency had been named, either, but amending it to name the Essex County Sheriff’s Department was not ruled out of order. Or perhaps the amendment to Article 14 was overruled because it was a hostile amendment? (Hostile amendments can also be overruled). I haven’t yet found the answer to this in Robert’s Rules of Order; I’ll have to ask Allen (our Moderator) about it when I next run into him walking across the Town Green! Finally, there was a surprising amount of debate about Article #13, which asked the voters to require that any organization receiving appropriated funds must submit an annual financial statement as a condition of receiving those funds. I suspect some of the opposition (such as it was), was leftover from last year’s Library loyalists, who still don’t think the Library should have to be accountable to the Town, in spite of getting $5,000 from us. The Selectboard and the Treasurer (me) argued generally for accountability, and in the end, the Article passed.